Every day I check multiple web sites for “deals”. I had already spent a lot of money this month on gadgets, so why not go for broke and get one more. Newegg had advertised a Dell Optiplex 755 refurbished computer for $185. I love this machine, it has been my linux workstation at the office for the last few years. Getting one for home would be great, but how good a deal was this? A quick search on Ebay proved not that good. 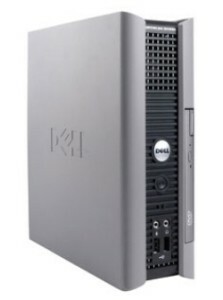 However, I did come across a Dell Optiplex 760 USFF for $72 shipped. Now we are talking. It needed a hard drive and ram, both of which I had in my spare parts bin. It has double the processing power of my current machine, and the ultra small form factor was a cosmetic bonus. I tried to share my enthusiasm with friends, but they couldn’t understand the value in 3 year old hardware. You can’t buy an equivalent speed CPU for under $50 and I got a whole system for an extra $22! Whatever. When I get used equipment I like to clean all the sticker goo, fan dust, pop stains, etc to make it look as close to new as possible. Goo Gone is my preferred cleaner, but I couldn’t find it so I used a can of Goof Off instead. Warning: Goof Off is apparently just turpentine, which ate the paint right off the plastic case. I might be able to live with the big smudge, but if not at least it is under $20 for a new side panel. So I maxed out the ram at 4GB, added a 1TB 7200 RPM drive, and for the first time in years went with a XFCE Desktop instead of KDE. 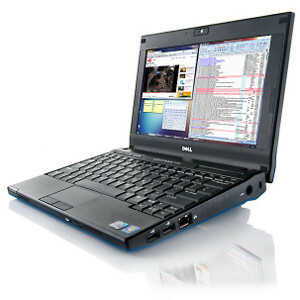 Most Dell hardware is Ubuntu Certified, so everything was detected without issue. I was right, this box runs great even before any tweaks. Now the fun of moving all my data over begins. Last week Microsoft had refurbished Surface RT 32G models with Touch Keyboard for $199 shipped. I had to get one, even though I have zero need for one, as the price was too good to pass up. I should have listened to all the negative reviews, but I am a gadget junky and need help. Now don’t get me wrong, the hardware is pretty well thought out. Nice clear touch screen, stereo sound, USB/HDMI/SDXC ports, wi-fi/bluetooth, and a keyboard that doesn’t need separate power. The down side here is the OS, and even more so the lack of developer support. This is marketed as a 32gig device, but there is really only about 13gig free as the OS takes the rest. Luckily ARM applications are small and getting additional storage for media via USB/SD isn’t a problem. Still, I am not sure how Microsoft gets away .. oh right, answered my own question there. Unlike many reviews, the Tegra 3 processor does not feel sluggish to me. Most of the apps load fast, which leads me to believe the few that do not are slow because of sloppy programming. It is also unfortunate Windows RT does not take full advantage of the chipset, unlike its Android counterparts, or there would be better graphic capabilities. The big problem? The only good programs for the RT platform are those which come pre-installed. Ok, there might be a half dozen apps I loaded from the store that work well, but everything else is junk that looks thrown together. Even worse, the only programs you can install have to come from the store … well at least without some clever hack. 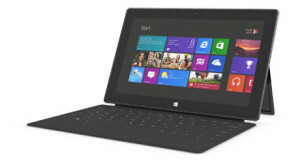 I am curious to see how the release of Windows 8.1 next month improves the tablet. MS Exchange support will be a nice addition to the existing Word/Excel/PowerPoint suite. Better customization of widgets and the return of a “start” button should help too. Unfortunately, I also read the clever hack might be blocked. I am going to try and use this at work until then, but unless Microsoft can get people to write more applications, my Nexus 7 has no fear of being replaced. At a price of $35 it was hard not to buy one of Google’s latest toys, but including free Netflix for three months made it a no-brainer. 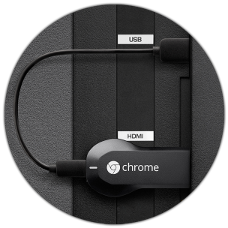 I have been very pleased with my other ‘straight from google’ devices, and the Chromecast is no different. Usability is still hindered by the lack of app support, but I expect that to change once the SDK is released. Currently both Netflix and You Tube work perfect when launched from my Nexus 4 phone. Until the latest update, using a third party program called Fling would let the Chromecast play any supported video from your PC. Although this no longer works, Google said blocking the video playback was not on purpose. So for now, using your Chrome web browser is the only other way to get content on your TV. Unfortunately as my Apple TV currently provides the above services, and until the SDK is available to make more apps, the Chromecast is going to patiently sit in the drawer. I have no doubt that it will eventually become my go-to device for TV media playback. Buying things for the new house does not leave much cash in my gadget budget. I really didn’t need to get this, but when the hype around a product is high and on release day it sells out within hours I can’t help but jump in for the ride. 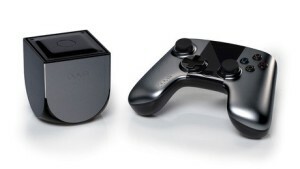 Ouya markets itself as a game console, but it is really a customized android device. Because of this, unlike regular game systems, the little cube ships open from the manufacturer allowing any 3rd party software to be installed … and thus the cool factor. Not having internet at home I was unable to get past the boot screen which was disappointing. The next day at work I logged in, downloaded all the patches, and created my user account. Ouya requires a credit card to be entered in order to continue, which I do not agree with but had to comply (too bad I misplaced my zero balance pre-paid Visa during the move). So far I have installed XBMC, which in my opinion runs fast and was able to play back a few MP4 videos I had without issue. The other reason I wanted this device was to play classic games via emulator on a TV with a joystick, so those will be configured next. A good community behind this device will determine its success as I don’t think it will be able to compete in the game market as intended. Time will tell, and luckily I can play along. 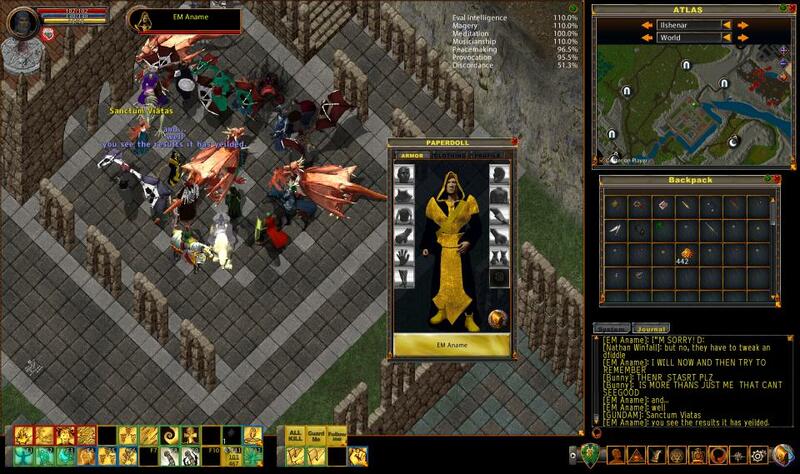 I had a discussion the other day about the state of Ultima Online with a friend who played “back in the day”. 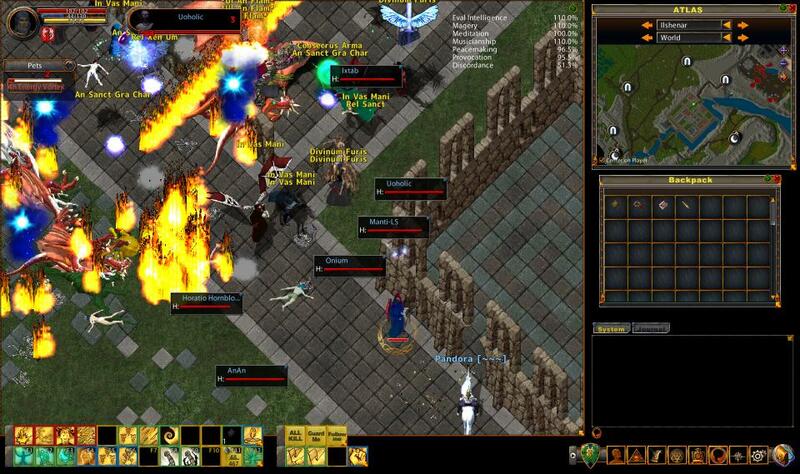 Compared to modern MMO’s the subscription base is small, so the argument was why play if there are no other players. Well I happened to be at Luna bank and noticed the Town Crier yelling about some demon attack. I was on my veteran character Wort, master of the bardic ways, and went to check it out. I was not prepared for what I found, but did take a few screen shots. So it turns out an EM had spawned some ancient Balron which was attacking … well everything. I showed up in time to see it go down, but didn’t figure out how to loot the body from under the pile of pet dragon corpses fast enough. The EM stuck around after to chat and I snagged a shot of him too. I found out these events are pretty regular, posted on UOEM website. Guess the old server isn’t quite dead yet!